Well, she’s not a puppy by a long shot but she is my puppy dog. Here she is sitting on her pillow in front of the TV in the lounge room. She’s actually watching CSI. She loves to watch TV. I know, I know everyone says dogs can’t watch TV but she does. 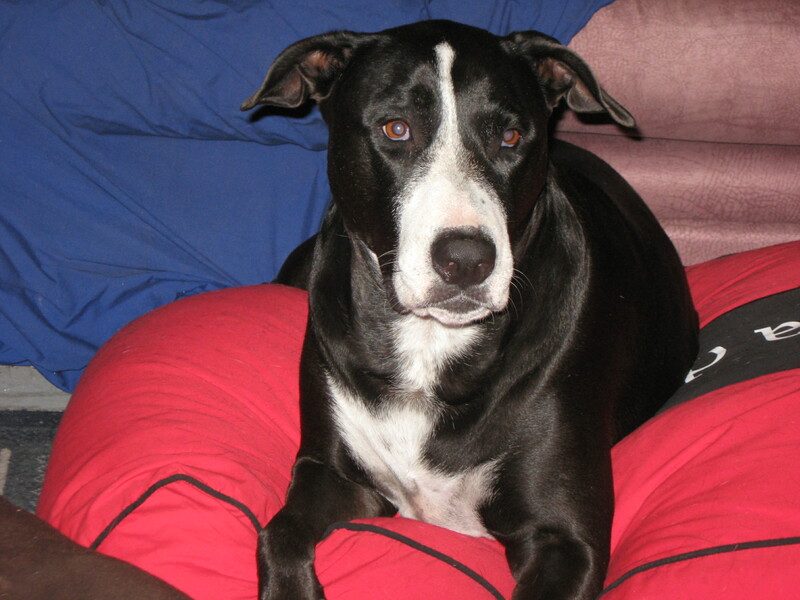 She is a Bull Mastiff x Great Dane and she is 9 years old (which is really old for these dogs). She is one of the loves of my life. 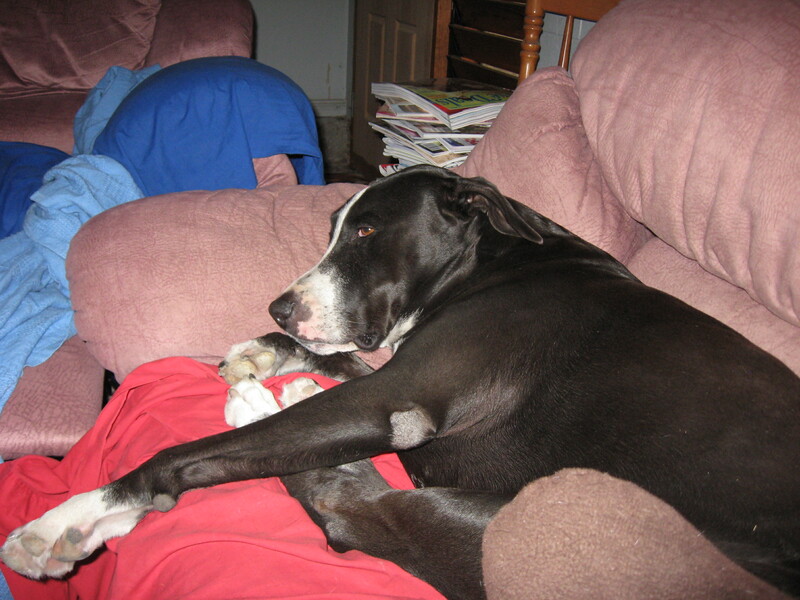 This picture is taken of her on her couch (also in the loungeroom) after a long day of sleeping, chasing things that go past the fence, staring at the horses to ensure they aren’t doing anything they are not supposed to, watching the kids next door to make sure they are okay, barking at everyone and just be a big busybody in general. She always has to know what everyone is doing at all times. she is so beautiful. and you can just tell she feels very loved. can you write a post one day about her winter coats? you know, i am really suprised that more dogs don’t have them over here. it is pretty cold right now, but you see dogs just prancing around with no coat- don’t know how they do it! She has very wise eyes. I love that in a dof.